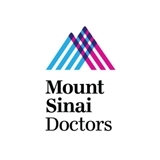 Beth Israel Medical Group provides the convenience of a walk-in medical office with the opportunity to build a relationship with primary care physicians and specialists from one of New York City’s premier hospitals. When you walk into any of our convenient locations, you’ll not only get immediate care, but you can choose us as your primary or specialty physician for follow-up and ongoing care. If you are a new patient, please arrive 15 minutes before your appointment to fill out paper work. Don’t head to the emergency room for non-emergency care. Instead, book a same day appointment for excellent medical services and the start of a relationship with a world-renowned medical center. Beth Israel Medical Group -- treating more than a sore throat. I like Dr. Eiref. He did a great job with my surgery & follow-up. If the need arises that I would need to see him again, I wouldn't hesitate. Dr. Choi was positive and listened to all of my concerns. MD was very helpful, good knowledge & very polite. X-ray tech, did very well. So the nurse. Very nice doctor. Explained very clearly so that I understand. Quick and no waiting. Dr. Virzi is fantastic! He takes his time, asks through questions, and really listens to answers and concerns. I always leave feeling great! dr yen is the best, he cares about you. very professional and human.